What if Kirk, Spock, and the others were cats? Well, you would have this picture book. Scotty, for instance, is of course a Scottish Fold. Park does wonderful illustrations from Classic Trek. There is, for instance, scenes from both “The Trouble with Tribbles”, and “Mirror, Mirror” – which is important because I love those episodes. And yeah, there is the Spock in heat thing. The book is short, but ideal for the devoted cat lover who is also a Trekkie. 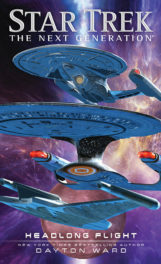 Share the post "Live long and eat tuna fish"
TNG through J.J. Abrams, an oral history. 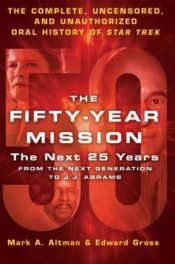 Share the post "TNG through J.J. Abrams, an oral history." 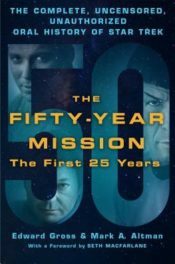 Share the post "I intended to read all the Star Trek books….and made it through 12 of my planned 46"
A fascinating oral history of Star Trek, the first 25 years. 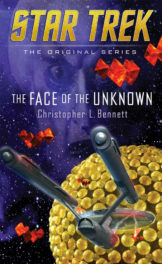 Share the post "A fascinating oral history of Star Trek, the first 25 years." 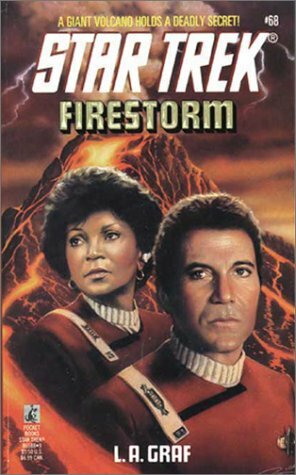 Share the post "Dancing Among the Stars"
Share the post "Where No Star Trek Fan May Have Gone Before …"
Share the post "Good enough to make me want more, and wonder why I waited so long"
Share the post "Commander Uhura to the Rescue"